Do you tee off on every par 4 and 5 with your driver? Phil Mickelson won the 2013 British Open without a driver and Tiger hit driver only once in his 2006 British Open win. In fact Tiger became known for his “stinger” 3 wood tee shots in his prime that would fly low and straight giving him a clutch fairway whenever he needed it. Driving with a 3 wood can save you strokes and may even end up further down the fairway than your driver. Have you ever used a 3 wood on a hole where you normally use driver and realize that you hit the 3 wood just about in the same spot as you usually land the driver? Many amateur golfers hit their 3 wood as for (or even further) than their driver and don’t even realize it. Golf Digest did a test and found out that golfers with average swing speeds only loose about 14 yards when they switched from driver to 3 wood. If hitting 3 wood means the difference between being in the fairway or the rough than those 14 yards aren’t very useful. If you are hitting from the fairway, even with one extra club, you’ll have a lot more control over the approach shots. You’ll be more able to put spin on the ball. You’ll also most likely have a better angle to attack the green. If you really tend to spray your drives, then using a 3 wood off the tee may keep your ball in play. That can save you a lot more strokes than an extra 14 yards. There are a few things you need to remember when hitting a 3 wood off the tee. First, a 3 wood is designed to hit the ball off the ground. So don’t tee it up like you would a driver. That should go without saying but I’ve seen plenty of golfers teeing up a 3 wood an inch off the ground and then popping it straight up in the air. Don’t hit it like a driver. Drivers are specifically designed to hit the ball on the ascending side of the swing arc. A 3 wood is not. Take your practice swing and see where the club bottoms out. Then step into the shot so that the ball is positioned ever so slightly before the bottom of your swing (for irons you want the ball positioned more before the bottom of the swing). This should give you the best chance to hit the ball on the descent of the swing arc but not too steep. When you tee up a 3 wood, you want it just slightly above the ground. It doesn’t need to be teed as low as an iron, but whatever you do…don’t tee it up high like a driver. This will give you the best opportunity to make solid contact on the sweet spot of the club. Finally, a 3 wood off the tee should be about accuracy. A lot of golfers take the first step to managing their game by choosing the 3 wood off the tee, but then they swing it as hard as they can to try and hit it farther. Do that and you’ve given up all the advantages of taking a 3 wood off the tee. Now you have a shorter club and still no gained accuracy. You should be thinking about playing to a spot on the fairway. Let’s say you hit the 3 wood 225 yards. 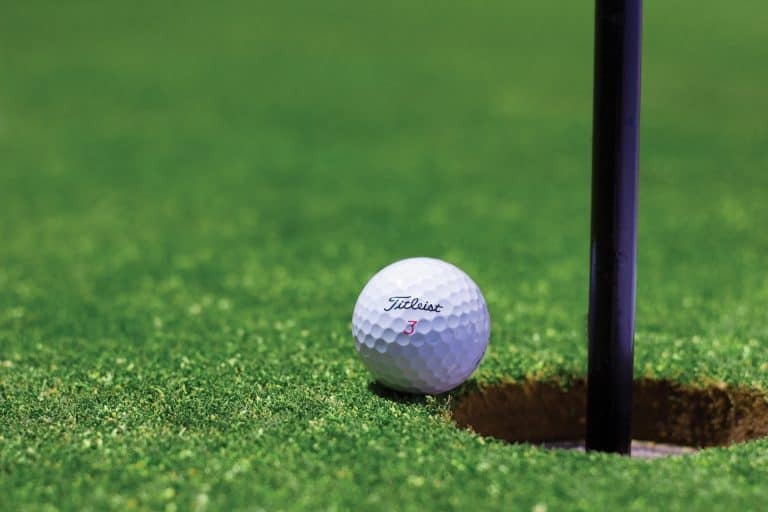 Pick a spot on the fairway that is that distance away and try to hit it like its a green rather than trying to hit it as far down the fairway as possible. Is 3 Wood Easier To Hit Than Driver? You may be wondering how a 3 wood with a smaller face is easier to hit than that that giant driver face. First, the club is shorter. Most drivers are 45 inches long and 3 woods are typically 42 inches long. That’s a big jump. Those three inches make it a lot easier to control the club. More control means more consistent contact on the center of the clubface. In many situations, players will even see more distance from their 3 wood because they can consistently hit the sweet spot more often. Second, a 3 wood has more loft than a driver. Because a driver imparts less backspin, it makes it easier to impart sidespin. Sidespin causes hooks and slices. That’s one reason why it’s a lot easier to hit a pitching wedge without any slice or hook. Driver Or Three Wood For Beginners? So as a beginner, should you be hitting driver or 3 wood off the tee? Well, like most things in golf, it depends. Are you comfortable with the 3 wood? Do you have trouble hitting the fairway with your driver? Figure out the answers to those questions first. Then figure out how far you hit your average 3 wood and your average driver. 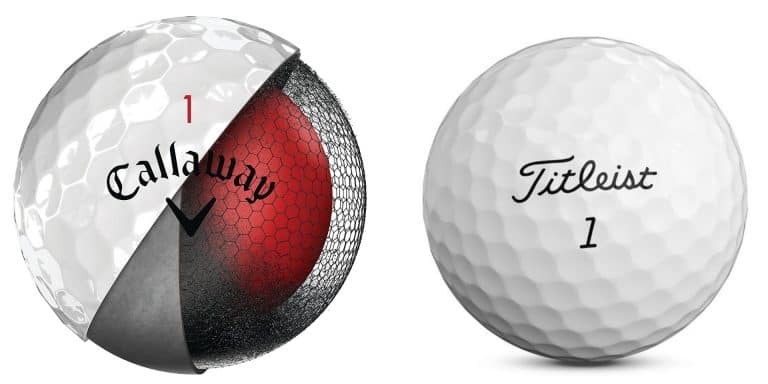 If they are 20 yards or less difference apart AND you hit the fairway more often with the 3 wood, then leave the driver in the bag. It is more important to be in the fairway than it is to be a little closer to the hole. Being in the fairway becomes even more important if you are playing on a course that has long rough. If you are a beginning golfer then learn to hit the 3 wood before you even buy a driver. You may even want to stick with a set of irons only when you are learning the game. For a new golfer, hitting a driver often can actually prevent you from learning a solids downward strike on the ball. A driver is a specialty club and also the only club in the bag that requires a slightly upwards path at impact. This is typically done through setup changes and not a different swing altogether, but either way, it can be a lot for a beginner to learn right away. It may be hard to resist the lure of the awesome $400 drivers on the market today that promise 300 yard drives. But what the ads don’t tell you is that no matter how much tech is in those drivers, you still need a good swing to make them work. I hope this has encouraged you to get out there and try playing for more accuracy off the tee. Maybe it will work for you and maybe driver is a better option. I still use driver off the tee regularly, but I try to identify those times when a 3 wood would be better. If you want to learn a little more about course strategy and how to put yourself in the best position to score well, CLICK HERE to check out The Scoring Method by Will Robbins. It is a great series of lessons that blends strategy with a little mental game coaching and is a great way to improve your scores without even changing your swing. What’s your go to club off the tee? Let us know in the comments. PrevPrevious PostCan You Take Golf Clubs On A Plane?